When they arrived at the tomb, they noticed the large stone had been rolled away from the entrance, and Jesus’ body was gone. They were told by an angel to go and tell His disciples that He was raised from the dead, but instead they were frightened and went away saying nothing to anyone. 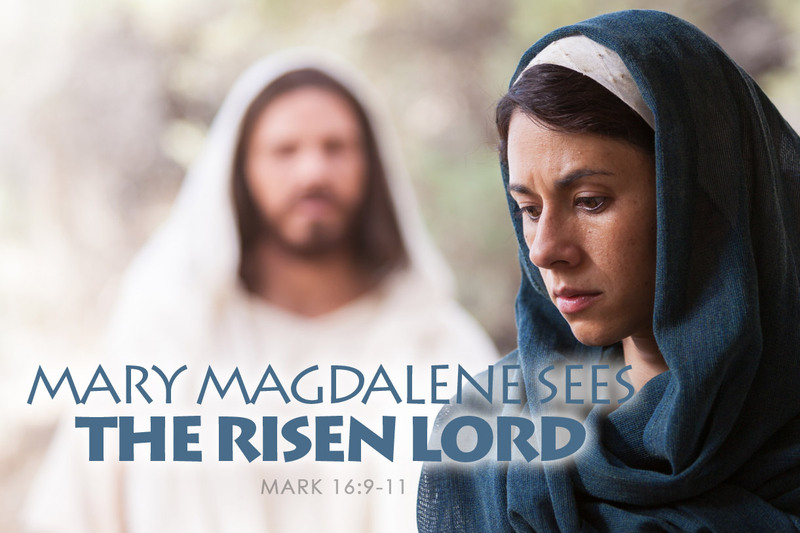 Shortly after the women left the tomb, Jesus made His first appearance since the cross when He came to Mary Magdalene. Mary was a Jewish woman from Magdala, a fishing town on the western shore of the Sea of Galilee. She was one of the women who traveled with Jesus and helped support His ministry after He cast out demons from her and gave her hope as one of His closest disciple. In spite of the fact they followed Jesus closely, heard His teaching and were present when He foretold He would rise from the dead, the apostles did not believe Mary Magdalene when she revealed she had been visited by the Lord. Is your heart hardened like the apostles’ heart? If you find yourself doubting miracles or ignoring the things of wonder that are made possible by God’s divinity, look for courage and strength to believe through prayer, study of the word, fellowship and worship; The pillars of faith. Let’s pray!